WAYZATA, Minnesota, April 16, 2013 – The Truvia® business provides natural sweetness to a new innovation in the spiced rum category with the use of Truvia® stevia leaf extract in Malibu® Island Spiced, the first lower calorie, spiced option to appear on retail shelves and in bars and restaurants across the country. As the global leader of stevia sweeteners, Truvia® brand offers a great, clean taste which mixes seamlessly with Malibu’s signature blend of Caribbean rum and coconut liqueur with light spices, smoked vanilla and cinnamon. As consumers pay greater attention to the sugar content of beverages , bars and restaurants are looking to provide lighter alternatives to the classic, sugar-based cocktail while maintaining great taste. Truvia® brand has helped meet this demand on several fronts with the introduction of new beverages like Malibu® Island Spiced as well as the launch of Truvia® Behind the Bar product for use in making zero-calorie natural simple syrups. The Truvia® business leverages Cargill’s formulation experts to combine Truvia® stevia leaf extract with a broad portfolio of ingredients and sweeteners, to help food and beverage manufacturers achieve great tasting, reduced calorie products. As an increasingly popular ingredient, the Truvia® logo can be found on over 50 new food and beverage brands in 20 countries. In addition, Truvia® stevia leaf extract is the only stevia sweetener to be managed responsibly from Field to Table with the industry’s first sustainable agricultural standard in 2011 and carbon footprint certification in 2012. Malibu® Island Spiced, 30% ABV and 70 calories/serving, will be available in 1.75L, 1L, 750ml, 375ml and 50ml sizes and will retail for a suggested price of $16.99/750ml. Truvia® tabletop sweetener is a great tasting, zero-calorie sweetener made with the best tasting part of the stevia leaf. Truvia® tabletop sweetener is #1 in its category of zero-calorie natural sweeteners in the U.S. and is also available to consumers in Europe and Latin America. Truvia® stevia leaf extract is a versatile sweetening ingredient used to reduce calories and sugar in foods and beverages. The Truvia® business uniquely manages its stevia supply chain from Field to Table having established a global agricultural standard for stevia. 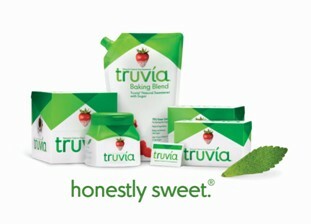 For more information, visit www.truvia.com. The company’s leading spirits and wines include such prestigious brands as Absolut® Vodka, Chivas Regal® Scotch Whisky, The Glenlivet® Single Malt Scotch Whisky, Jameson® Irish Whiskey, Malibu®, Kahlúa® Liqueur, Beefeater® Gin, Plymouth™ Gin, Seagram’s Extra Dry Gin®, Martell® Cognac, Hiram Walker® Liqueurs, Pernod®, Ricard® and Avión™ Tequila (through a joint venture with Tequila Avión); such superior wines as Jacob's Creek® and Brancott Estate®; and such exquisite champagnes and sparkling wines as Perrier-Jouët® Champagne, G.H. Mumm™ Champagne and Mumm Napa® sparkling wines.